Swim Team Jerseys Now On Sale! 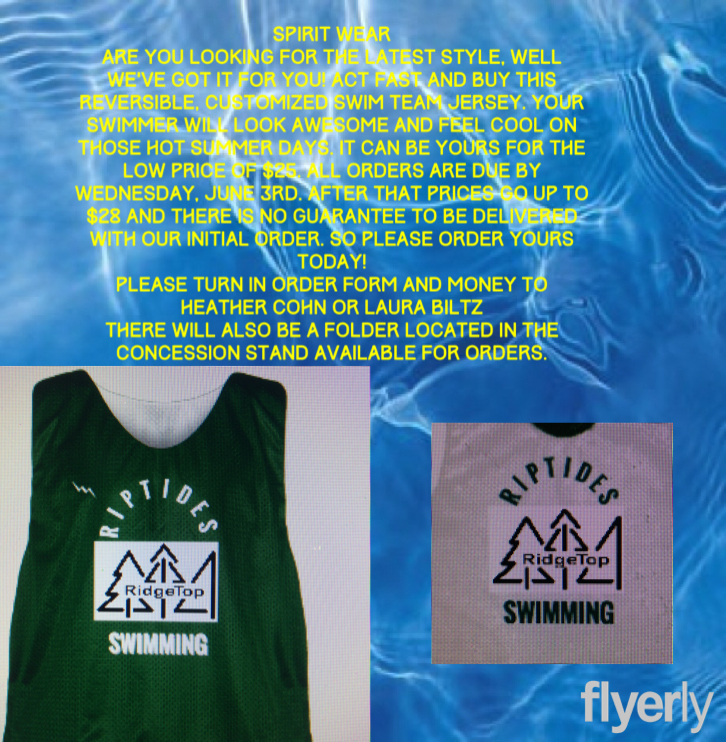 Show your Riptide pride and buy a customized Ridgetop Swim Team jersey! Orders are due by Wednesday, June 3. Fill out the order form today!